We have developed our large forklift wheelie bin handler to overcome this problem by allowing 660 to 1100 litre wheelie bins to be lifted and emptied safely with the use of a forklift truck. 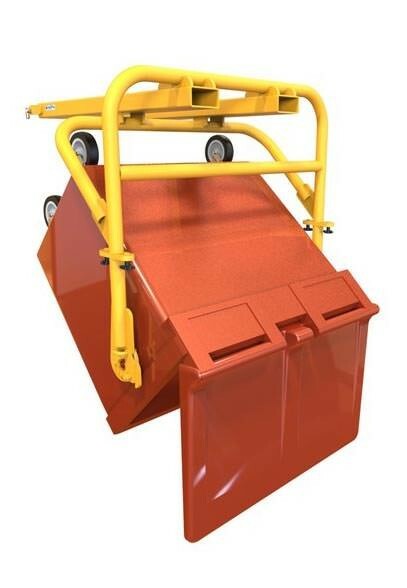 The wheelie bin tipper is simply fitted to the forklift truck forks, and with specially designed lifting slots, the forklift wheelie bin handler can be positioned to locate onto, and lift up the wheelie bins via the side trunnions. With no moving parts, wires or pulleys, the wheelie bin is simply positioned against the side of the waste receptacle, and with forward motion applied, the bin rotates to the required angle allowing for the wheelie bin contents to be emptied. 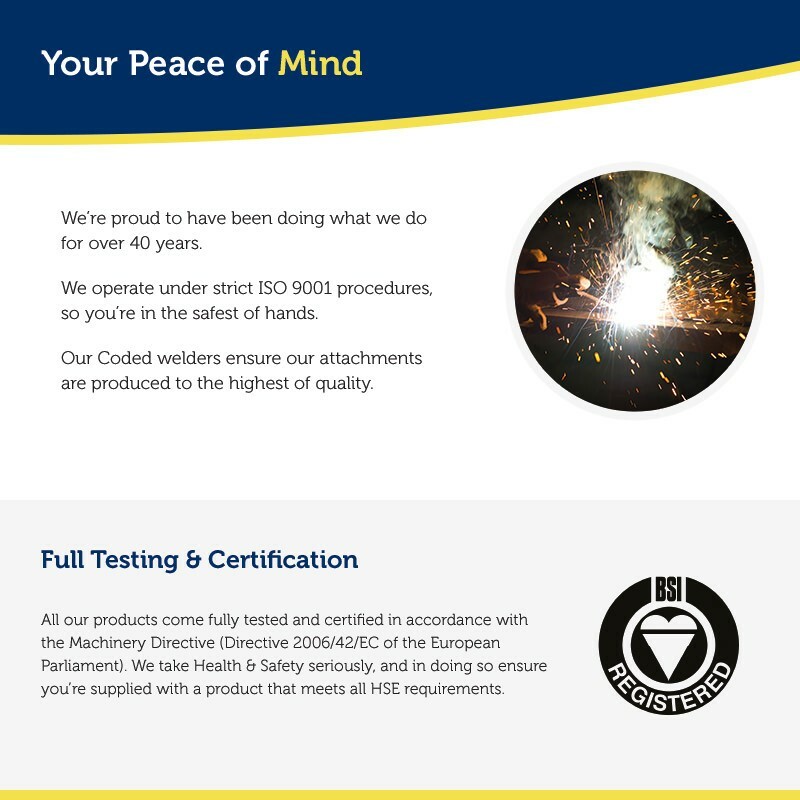 Our forklift wheelie bin tipper offers a quick, simple and safe method of lifting and empting large wheelie bins, and like all our forklift attachments, comes supplied fully tested and certified for compliance with the latest Health & Safety Regulations. N.B. 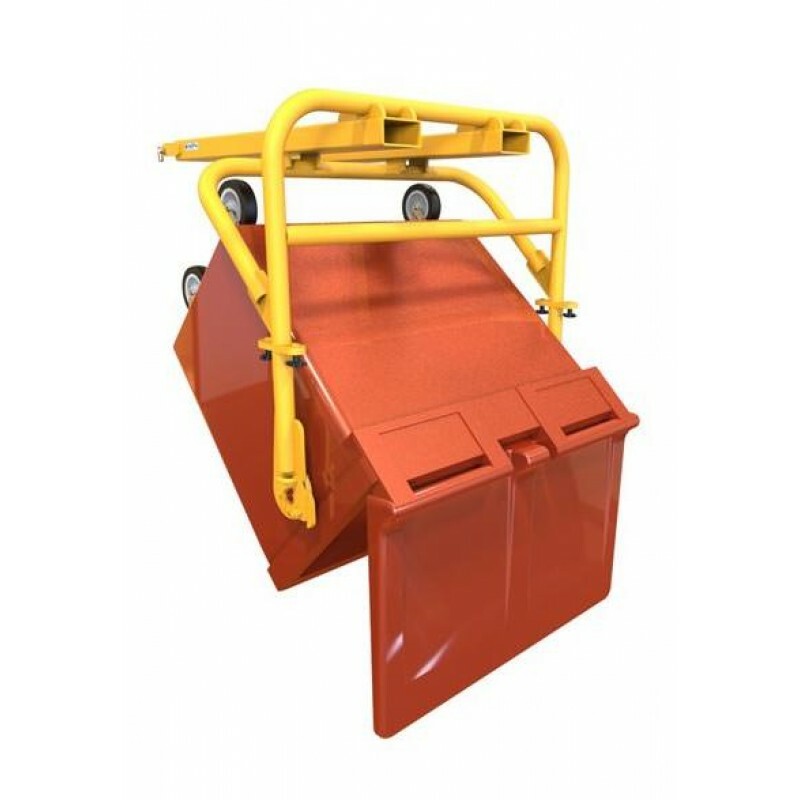 This forklift wheelie bin handler is only suitable for use with large wheelie bins with side trunnions.